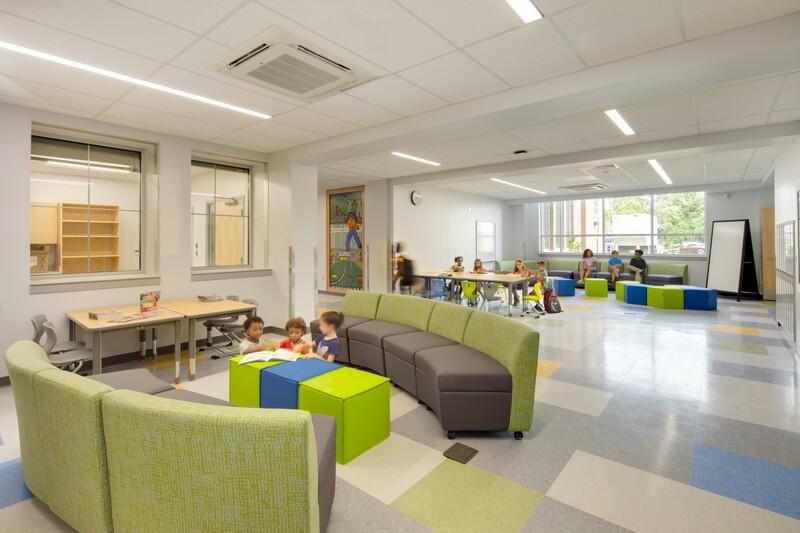 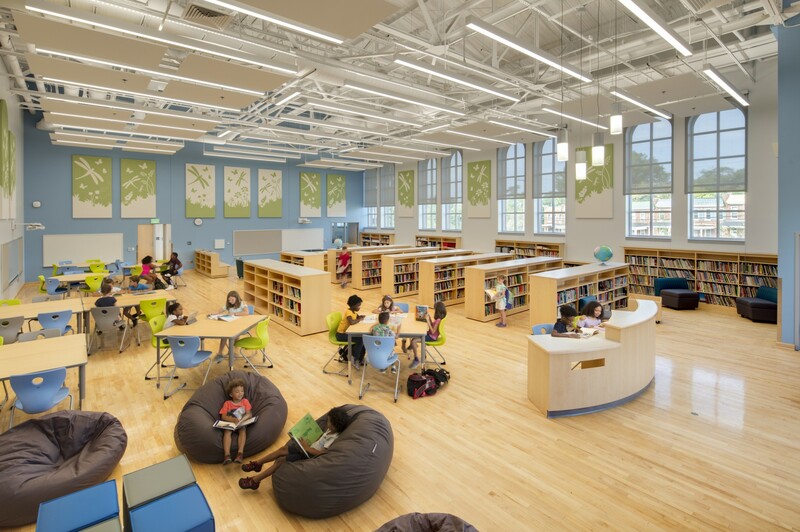 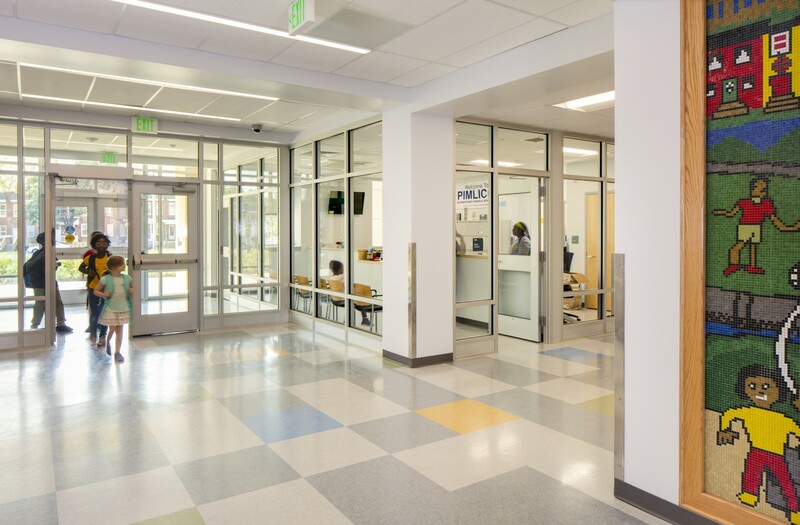 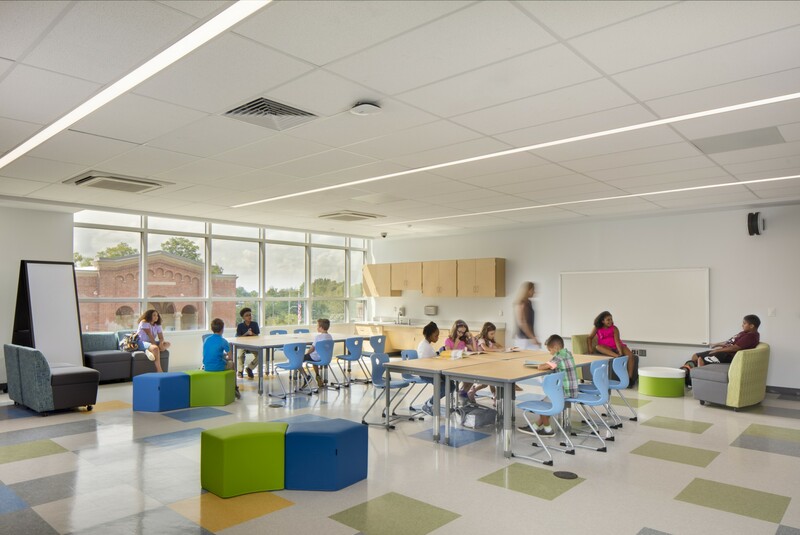 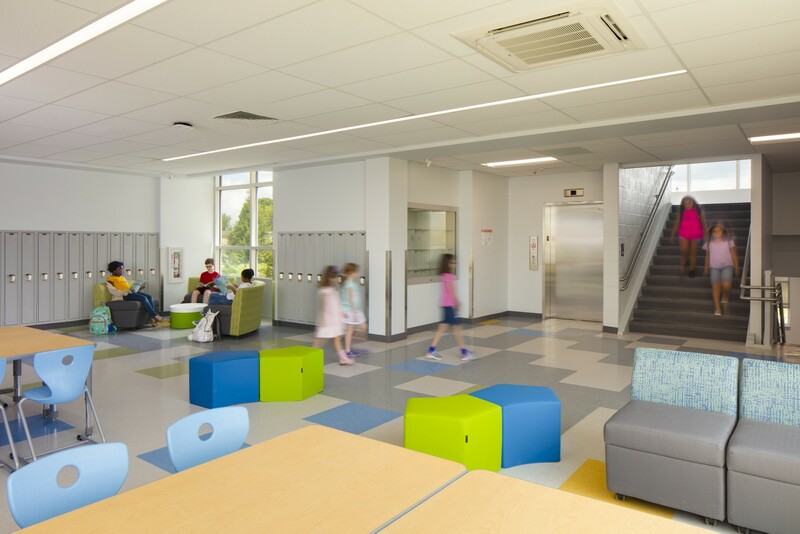 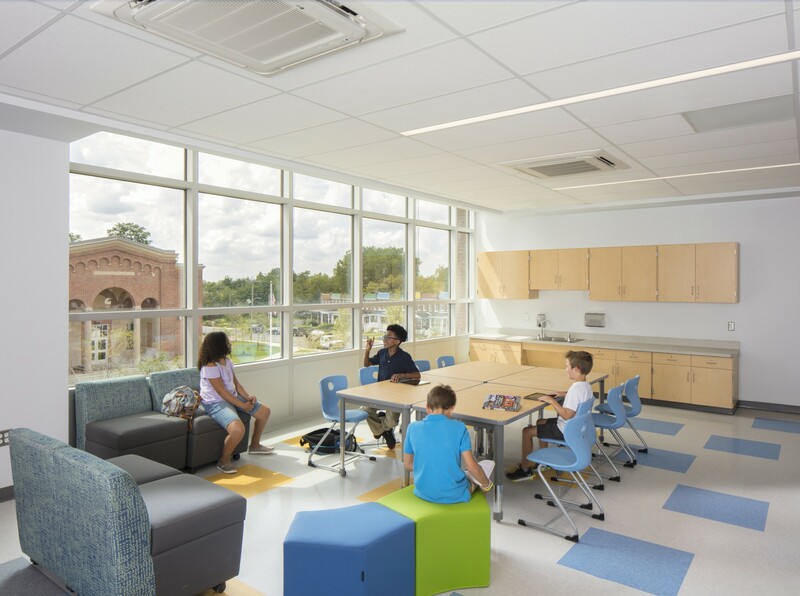 Design Collective in collaboration with Samaha Associates was selected to provide design and construction administration services for the renovations/additions to Pimlico Elementary/Middle School. 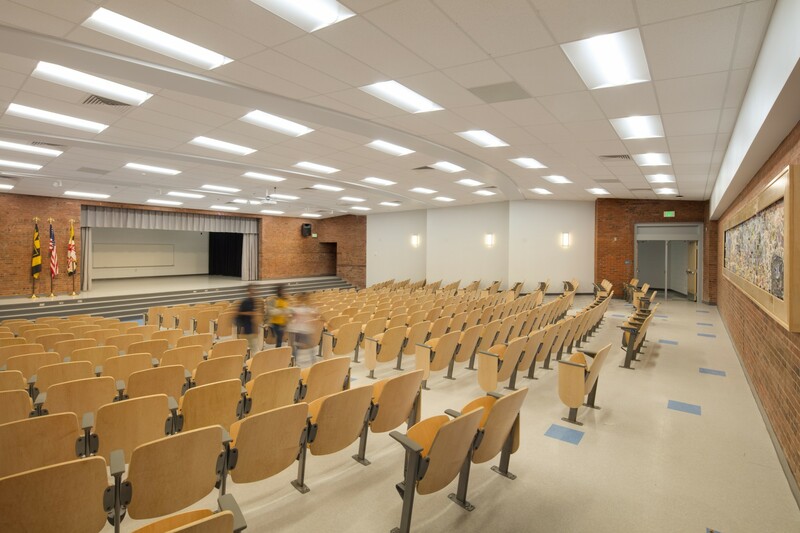 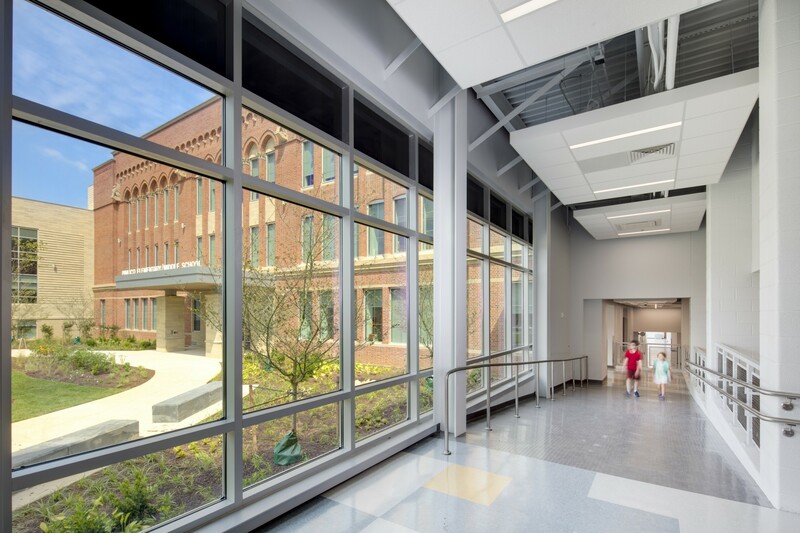 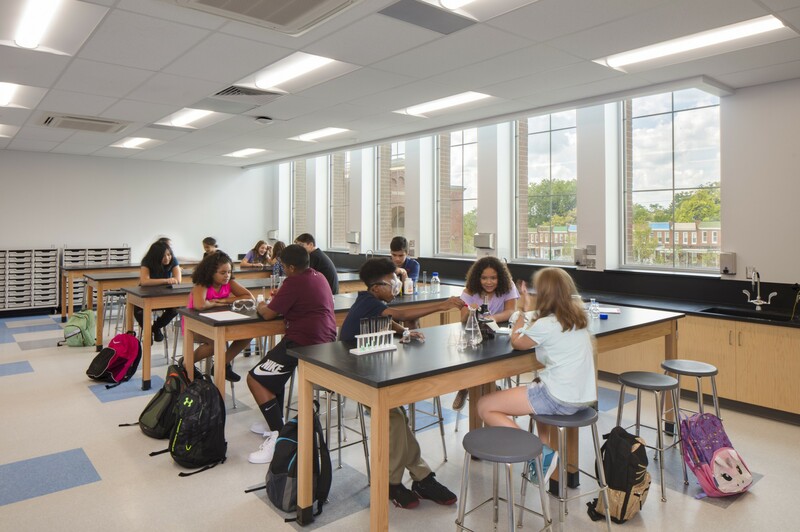 Pimlico ES/MS includes the full renovation and modernization of 78,000sf of existing building as well as a 40,000 sf addition. 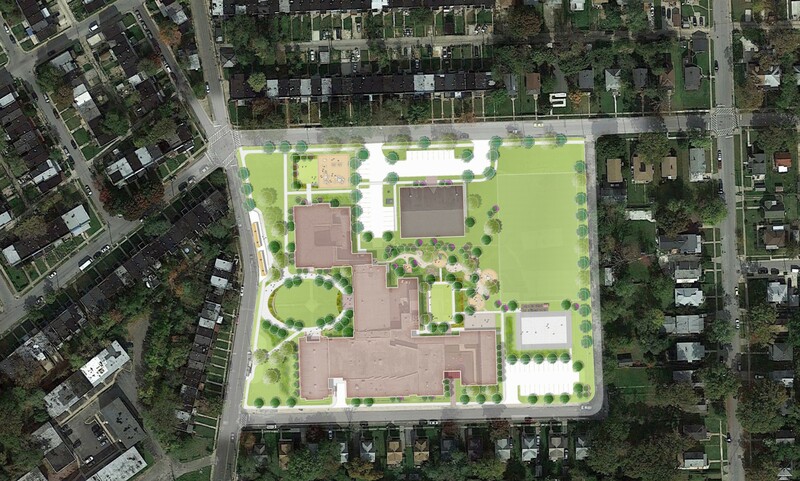 The original 1910 school building will be rebuilt to support the elementary component of the project while the 1924 building will house the middle school. 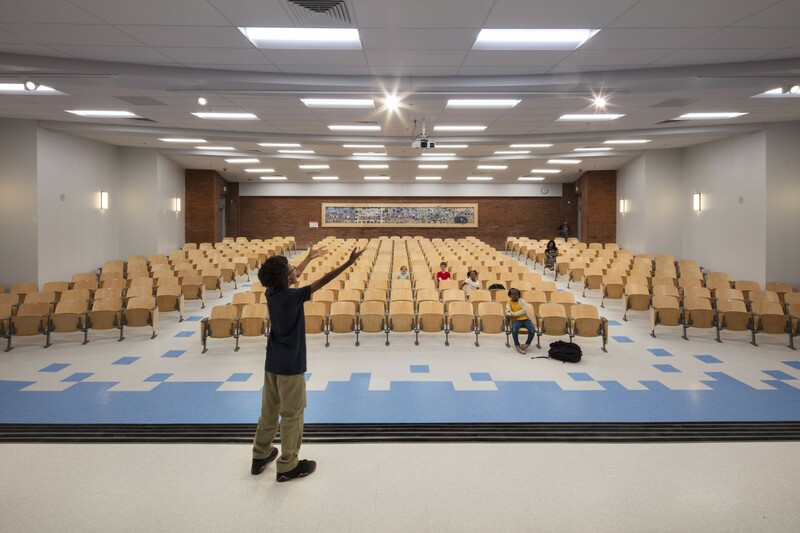 The goal of this project is to maintain the existing historic buildings to the extent feasible while using new additions to unify the site and create a 21st century learning environment for the students at Pimlico ES/MS. 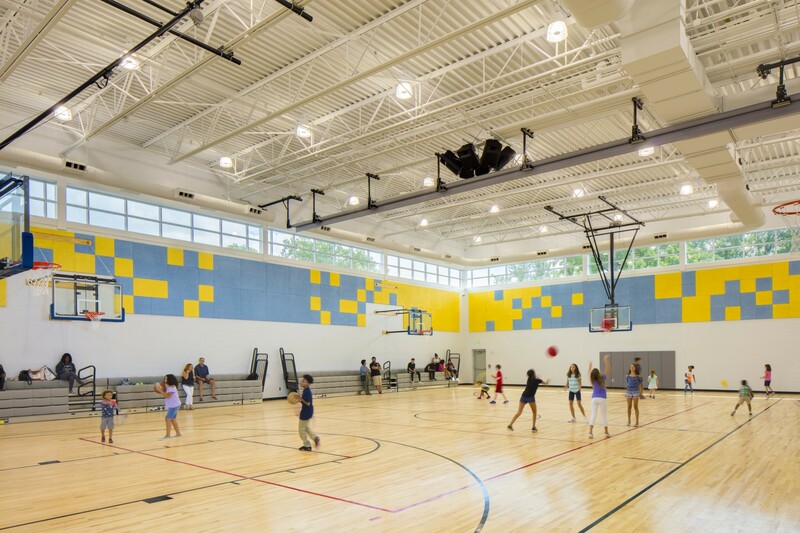 The existing 1924 gymnasium, while not large enough to support middle school athletics, will be repurposed into a high-volume media center with open ceilings and high windows. 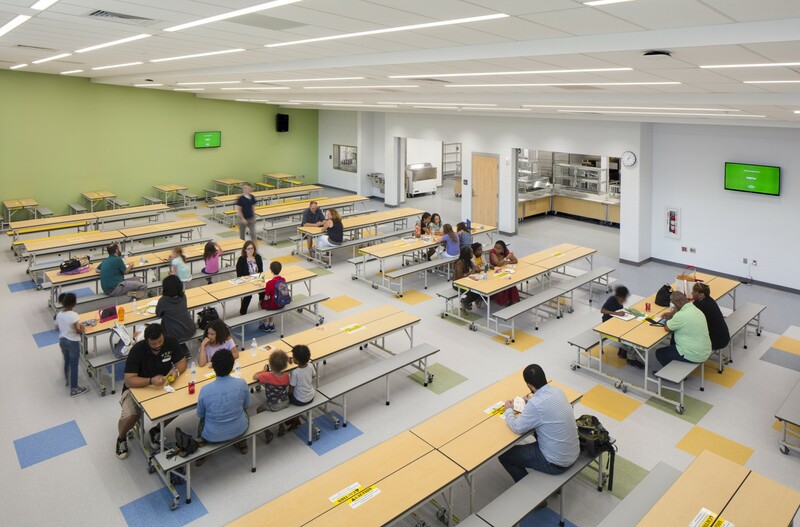 The existing activities core will be renovated to provide a modernized dining room with natural lighting and an expanded kitchen to meet the needs of the school. 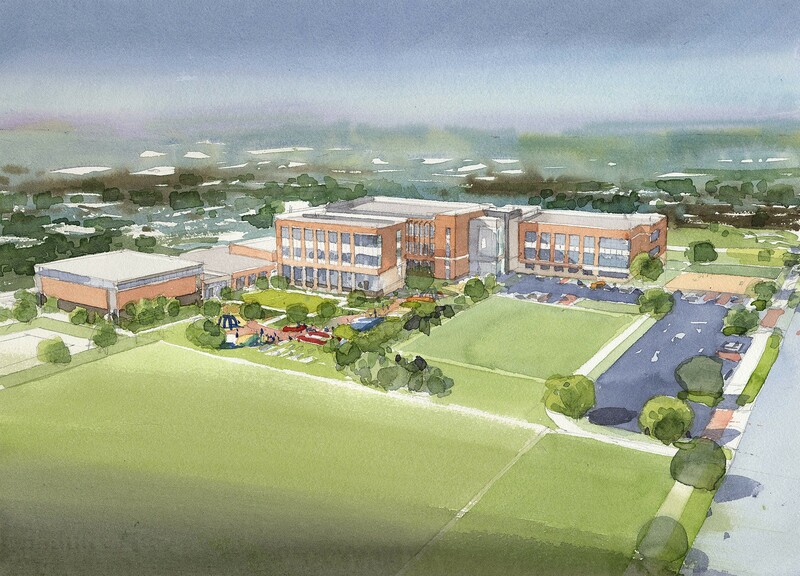 New community space and a gymnasium will be added to this wing of the building to serve the school as well as the surrounding community. 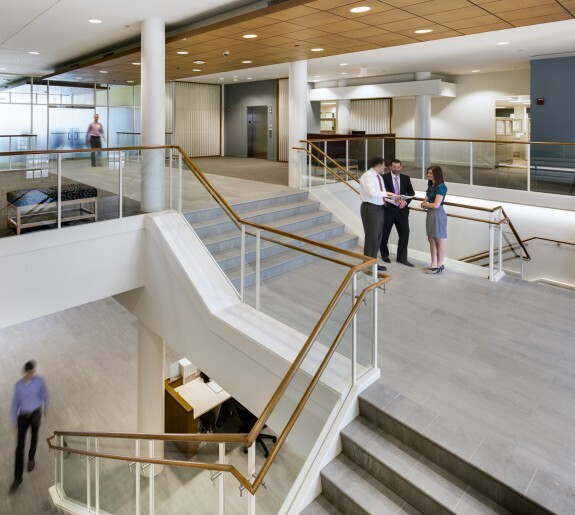 By eliminating the parking along Pimlico Road, the design team has provided an opportunity for the existing historic buildings to be the main focus and has improved the approach to the building by maximizing the green space and preserving existing, established trees. 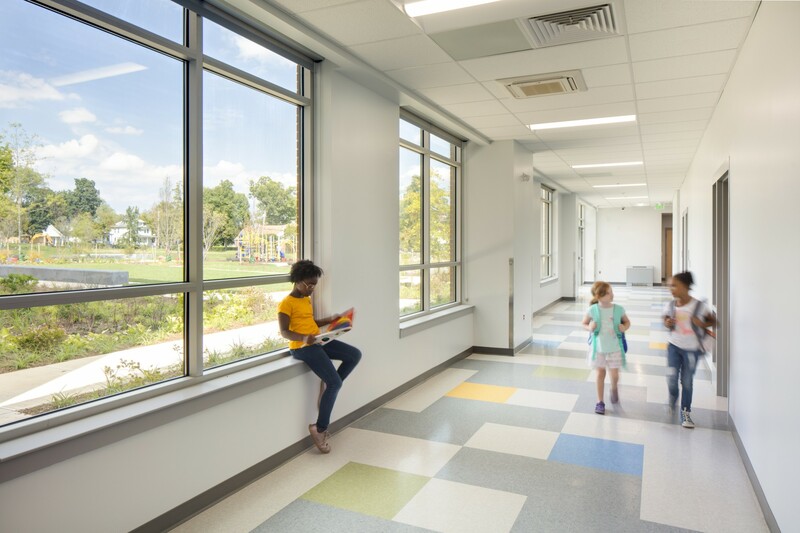 The landscape and play areas have been design to provide formal learning spaces as well as informal play areas. 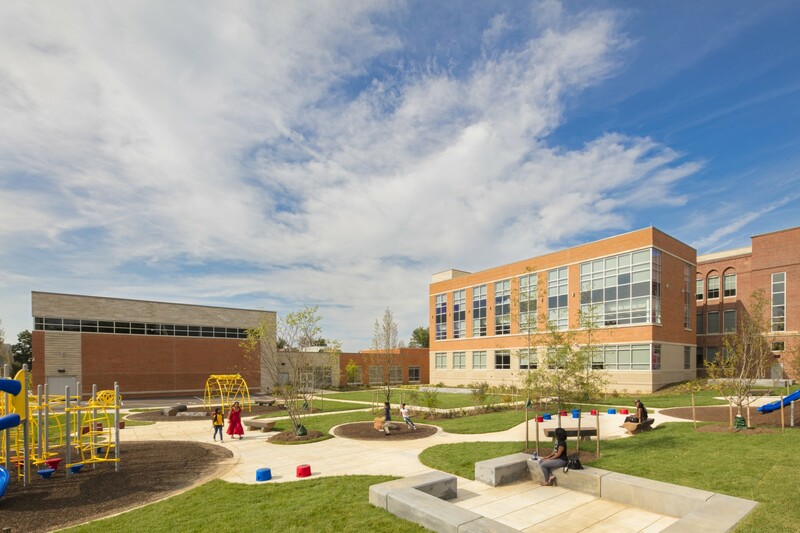 Stormwater management and sensory gardens on the site provide an opportunity for students to engage learning opportunities beyond the classroom.The design team has engaged in the community process, presenting the design to students, teachers, parents, local city and state representatives, community groups and community members at the completion of each phase of design. 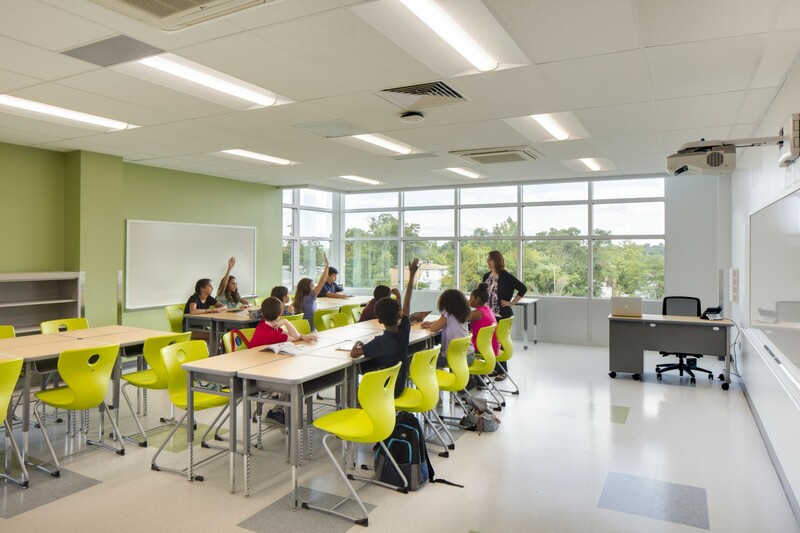 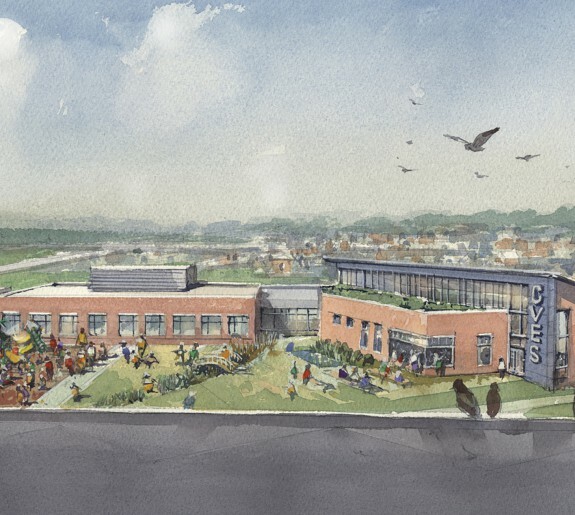 The new Pimlico Elementary and Middle School will be flexible and adaptive, inspire social interaction and support diverse learning and teaching styles. 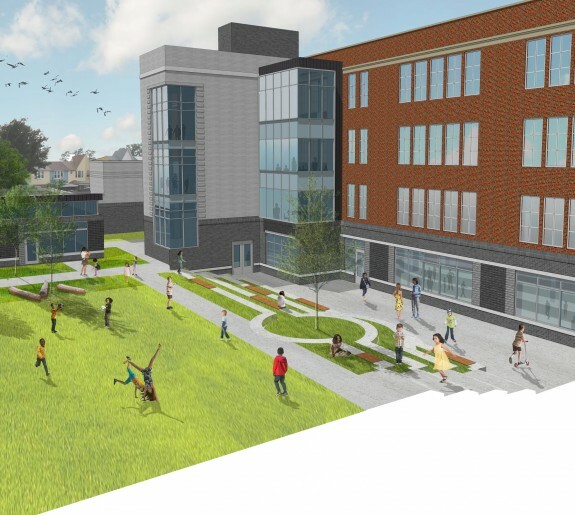 The school building will be on the cutting edge of technology and environmental sustainability and will be the hub of the community it serves. 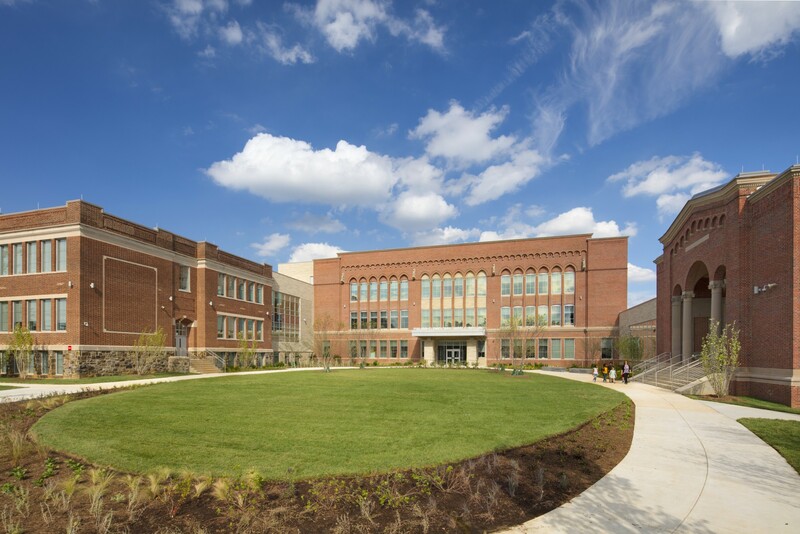 The project is on track to receive LEED Gold certification. 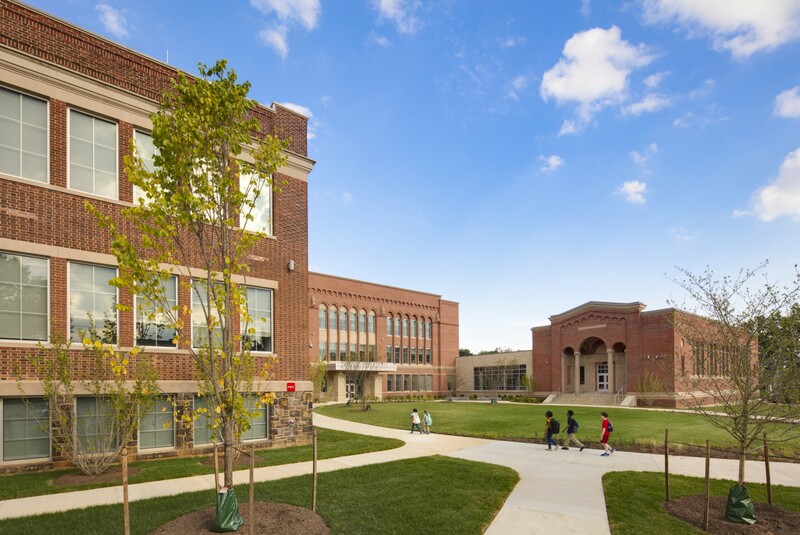 The building reopened for the 2018-2019 school year.